Pratt Industries: In February, we learned that Pratt Industries, the world’s largest privately held, 100 percent recycled paper and packaging company, will invest more than $20 million to establish a new facility in the Botetourt County Shell Building at Greenfield industrial park. The expansion is expected to bring 50 jobs. New Road: Then in late March, Botetourt County announced that it is seeking state funding to build a road that could access a construction-ready site at Greenfield. Broadband Funding: Just a few days after the road announcement, the governor’s office confirmed that Craig Botetourt Electric Cooperative will receive more than $750,000 in funding to expand broadband access to underserved areas. These developments come just months after Eldor Corp. started up production at its new $75 million facility in Daleville, and the Botetourt Family YMCA opened its doors to great fanfare. Plus, the tasty success of Ballast Point Brewing Co. as a member of the Botetourt community draws people from far away to sample their craft brews, and drink in the mountain views. Botetourt County’s Department of Economic Development works well with its regional partners to make Botetourt County business friendly and attract new employers. Botetourt County’s recognition, along with the overall Virginia’s Blue Ridge region, as a destination for serious outdoors enthusiasts. An increase in affordable housing as developers continue to pursue opportunities. This includes multiple new apartment dwellings under construction, townhomes, and approval of new mixed-use development neighborhoods. Botetourt County’s efforts to increase broadband access so that it reaches our more rural areas. Increasing and improving amenities, as our commercial centers continue to grow and develop. The Exit 150 Interchange will be known as the Gateway to the Roanoke Valley. All this, plus our gorgeous mountainscape, outdoor recreation amenities, and proximity to Roanoke and larger cities, make Botetourt County a super place to live, and we want to help get the word out. Share your favorite thing about Botetourt County on our Facebook page or in the comments below. We’ll use your suggestions and our own selections to create our very own “Best of Botetourt” guide for visitors and new residents. 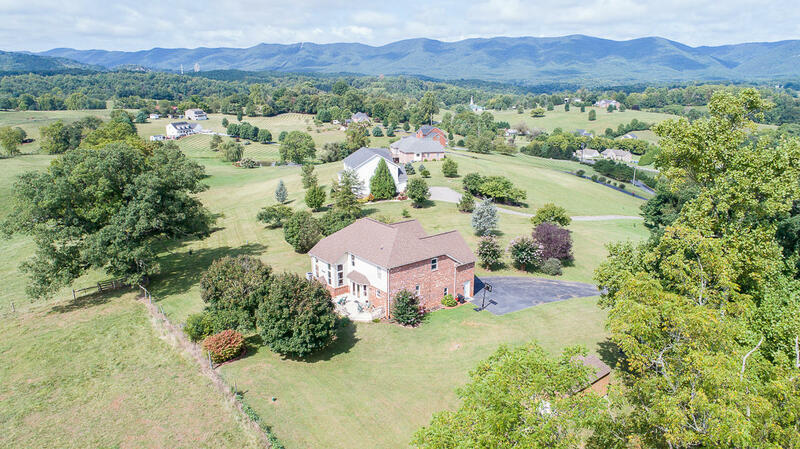 Meanwhile, if you know someone who’s planning to move to Botetourt County, whether from 10 miles away or from across the country, send them our way. We handle lots of relocations and will be happy to help them find a new home and get settled in. Contact Dayna at dayna@patrickteamhomes.com or 540-384-0504.